Only 1 in 5 marketers earn top marks from the C-suite for their ability to prove their value and contribution, according to a recent marketing performance management survey. That's not good—and it's being caused by the fact that the B2B marketing landscape is becoming an increasingly complex, omni-channel environment. In response to this trend, we've seen an influx of more than 1,800 software vendors across 43 categories coming to market with solutions to help B2B marketers address this issue from the top of the funnel to the bottom. However, effective marketing attribution is as much about team alignment, process and strategy as it is about the platform stack. 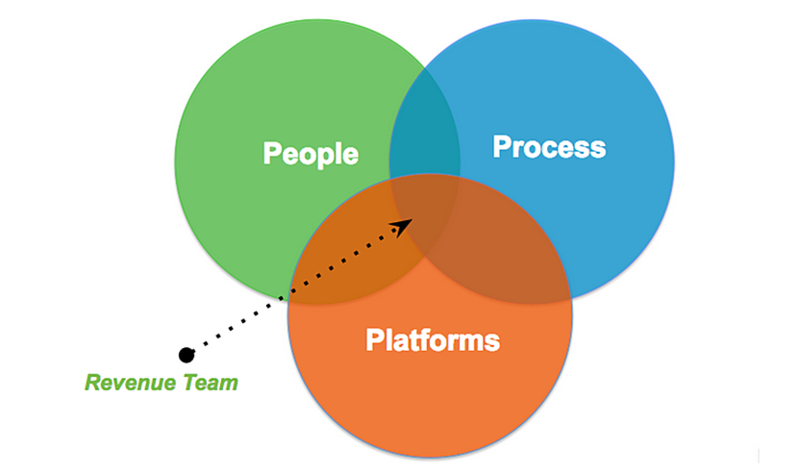 In today's post, we're going to examine how these three "P's" (people, process and platform) are coming together in the most effective B2B marketing and sales teams today. 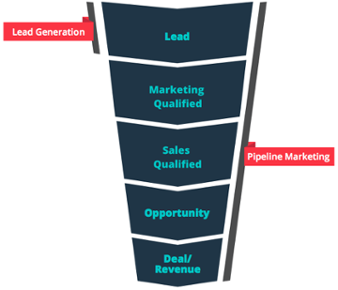 Pipeline marketing is the methodology of not focusing lead generation efforts on visits, average time on site, bounce rate or even lead or MQL quotas. Instead it's based on revenue contribution and working from revenue back to the top of the funnel to dictate decision-making. Visits, average time on site, or bounce rate are only a few of many levers that marketers can use to increase their contribution to pipeline, not the be-all end-all. For pipeline marketing to be successful, not only must your platforms be aligned to track attribution from the very top of the funnel to the bottom, but also your process and team must be completely aligned around this goal. You need this alignment because marketing is held accountable as a "customer" to the sales team to deliver qualified leads, while sales must also uphold its side of the service-level agreement from SQL to close-won opportunity. When done correctly, pipeline marketing can significantly accelerate growth. Here's a great post from Bizible discussing the impact that pipeline marketing has at its organization. To help foster the alignment, strategy and oversight necessary for this pipeline marketing system to be successful, we have seen the rise of the chief revenue officer. This level of executive leadership is a cornerstone of the foundation for pipeline marketing success to ensure that the technology stack is adequate and the team goals and processes are aligned towards the appropriate revenue goals. The next logical progression of this trend is the revenue team. As the rise of the CRO continues, and marketing and sales departments become increasingly intertwined, CROs will need to move fluidly across these historically separate departments to create and maintain effective management of both people and process. A unified revenue team can enable visibility throughout the funnel, faster time-to-value from marketing and sales and the ability to use this data to drive better decisions across the funnel. With this in mind, be sure to choose your technology stack wisely from marketing automation to CRM, lay a clearly documented and carefully built marketing and sales process and ensure that both marketing and sales teams are aligned around the same goals. With people, process and platforms all positioned to drive growth, it just becomes a matter of saying "go!"